Search Engine Optimization (SEO) is the process of maximizing the number of visitors to a website by remaining high on the list of results returned by a search engine. These facts underscore the reality, if your brand is on the internet, a high rank on the search engines is a requirement for business. What’s the secret? To separate the myths from reality, on September 24th at 11 am EST, Mike Moran and Rob Petersen are giving a webinar . This point counterpoint discussion is moderated by Peter Methot, Program and Marketing Director at Rutgers University, Center for Management Development. To register, go to 12 Myth vs Reality about SEO Webinar. What are some of the things you’ll learn at this webinar, here are 12 myths vs. reality about Search Engine Optimization (SEO). A GOOD WEB DESIGN FIRM IS ALSO AN SEO EXPERT: That’s usually not true because SEO begins with keyword discovery. This involves numerical analysis of keyword search volume, competitiveness and input from you about your expertise to compare to what consumers want. As it turns out, building a beautiful website and getting your site to a top rank with the search engines are two very different skills. SEO DEALS MOSTLY WITH ON-SITE MODIFICATIONS: Content from keywords plays a big roles in determining relevance, but off-site factors such as how many high quality or authoritative websites link to you is equally important. Relevance and authority are the two factors that drive search rank. SEO INVOLVES TRICKING THE SEARCH ENGINE: The opposite is true. SEO is about creating web pages and writing copy that is intelligible to search engines and also creates an experience for visitors that makes them want to come and come back again to your site. GOOGLE IS THE ONLY SEARCH ENGINE THAT MATTERS: It’s true that Google represent 70% of all searches and the percentage is growing. But, last year, Bing had a record year at 16% and is growing too. To focus only on 70% and ignore 30% leaves a lot of potential business on the table. DUPLICATE CONTENT GETS YOUR SITE DE-LISTED: There is no duplicate content penalty. Duplicate content is substantive blocks of content within or across domains that either completely match other content or are appreciably similar. “There is no such thing as a duplicate content penalty” says Google in their webmaster blog. Bing and Yahoo say the same thing too. PAID SEARCH HELPS ORGANIC SEARCH: In all of the experiences ever witnessed or heard about, it has never been proven spending on search engine advertising (PPC) improves your organic SEO rankings. SEO HAPPENS QUICKLY: Nothing that is worth doing well happens overnight. With SEO, you are building equity in your brand. You should estimate 4 to 6 month for results behind keywords that matter for your business. A good tracking system shows progress and helps results occur in the most effective manner. ONCE A SITE IS OPTIMIZED, YOU DON’T HAVE TO DO ANYTHING ELSE: While the effects of a good SEO campaign last, rankings may begin to drop if you don’t update content and there are no new inbound links generated. However, if you continue to create good content, the site will stay “fresh” and hopefully you will continue to get real “organic” links from people who find your website useful. SEO SOFTWARE AUTOMATES IT ALL: No, it doesn’t. There are plenty of apps and websites to help do keyword research, find possible link opportunities and analyze your competition. 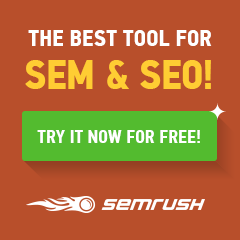 There are some really good tools and plugins that can help you do your on-site optimization. But none of them does the thinking for you. None of them is able to understand the subtle nuances of language, your customers and your business. No one of them gets results on their own. SOCIAL MEDIA DOESN’T IMPACT SEO (AND VISA-VERSA): Social media has everything to do with impacting SEO and visa-versa. It is a source for content, keywords and links that drive authority. It not only helps your business get to a top rank, it helps your business get multiple rankings on a search page and it builds 1-to-1 relationships. 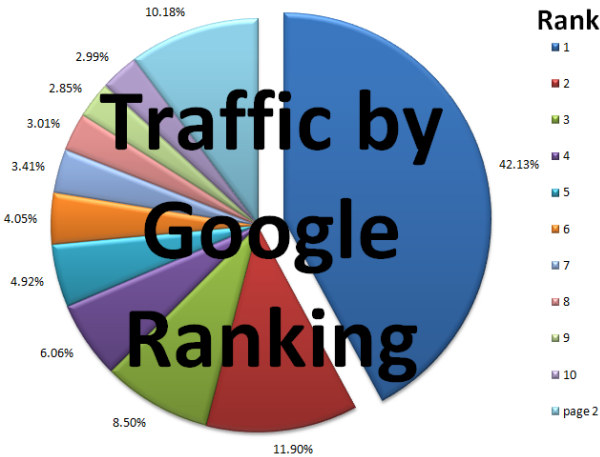 ONCE YOU HAVE A TOP SEARCH RANK, BUSINESS ROLLS IN: A top rank behind keywords that matter drives visitors to a website. The action they take, once they get there, depends on the how you guide them and create a good experience. For example of brands that do this well, here are 10 case studies that prove the ROI of SEO. This clarification of myth from reality is to point you in the right direction so you pursue the right path for your brand. SEO is a marketing science. Although there are those who claim to know the “special sauce,” check first if their implementation of SEO relies on myths or reality. SEO is something BarnRaisers does and I teach as part of the MBA faculty at Rutgers CMD. With colleagues Mike Moran and Tim Peter, we have a unique offering for companies with on-site training called JumpStart Workshops where we come to you and to “hand-on” training to deliver an effective SEO strategy and plan for your business. Did these 12 steps clear up the myth versus reality about Search Engine Optimization (SEO) for you? Are your going to attend this webinar? Terrific blog – very useful. @JayGronlund Thanks Jay. Appreciate the feedback. I have recently been seeking for facts about this topic for ages and yours is the best I’ve located so far , I learn something more difficult on unique blogs everyday . to read content from other writers and practice just a little something from them. was doing. So it is better to do legal things and earn sufficient money.